The design, color, and style of the faucets in the bathroom renovation makes all the difference. They may either make the bathroom look luxurious or give it a simple look. Selecting faucets for your bathroom is not a hard task. However, there are a few factors you need to consider such as the style, finish and the use of the faucet. Remember to purchase a faucet that is within budget too. Here are some of the tips that will help you get the right faucet for your bathroom. You should consider the aesthetic and function of the faucets. This is dependent on the design of your sink. If you are not planning to change the current sink, you will experience a few limitations as the faucet has to fit into the existing plumbing work. If you are planning to replace the sink, you have a wide variety of faucets. Choose a faucet that will complement your sink, shower fixtures, and tub for a complete look. Additionally, you can select a modern or traditional design. This is the outer surface of the faucet. 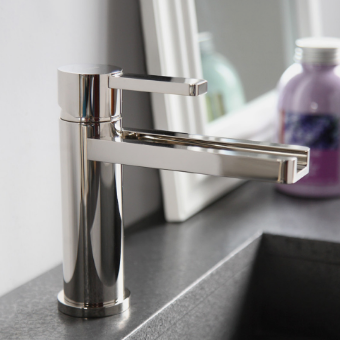 There is a vast variety of faucet finishes in the market, from gold to stainless steel to brass. You should choose a faucet that has durable finishes that are scratch resistant. The color of your faucet should complement the design of the entire bathroom. It is advisable to know the size of your sink before buying any faucets. Large sinks should have large faucets. Smaller sinks should have small faucets to prevent the faucet from being too conspicuous. The right size of a faucet will make it easier when cleaning. In some cases, you, you may be required to pick a faucet and sink together. This is because the sinks and faucets work hand in hand since they are compatible.